Just popping by to wish you all a happy F R I Y A Y with this spring-forward look. I'm such a sucker for bombers so when came across this flower embroidery number I knew I had to scoop it up. 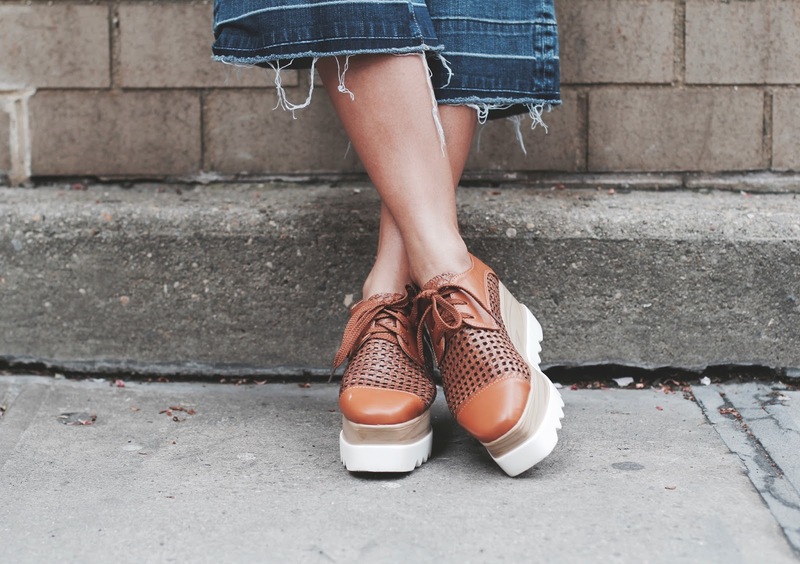 Here I paired it with a tie-up sweater, denim culottes and these fun yet comfy Zaful platforms. Hope you enjoy your weekends! And for all my mommas, happy Mother's Day! What a cute spring pairing! 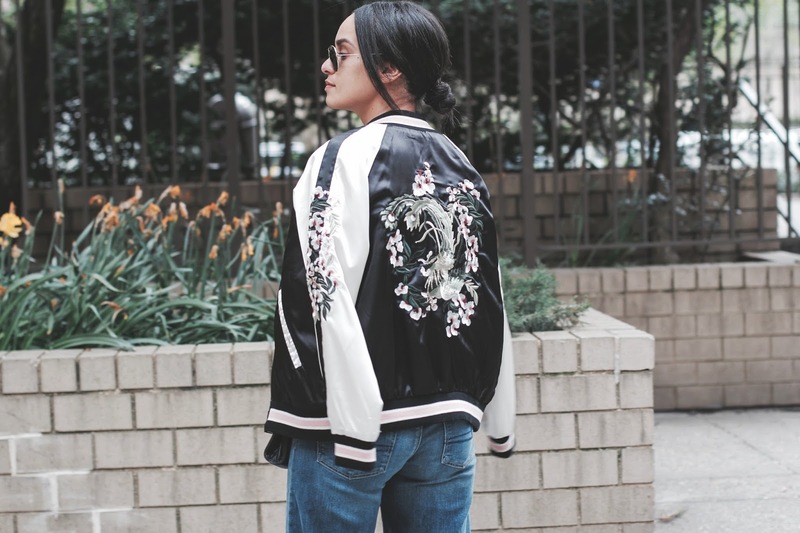 I love the satin bomber, the embroidery is so pretty and the colors and fabric make it a perfect option for dressing up or down. 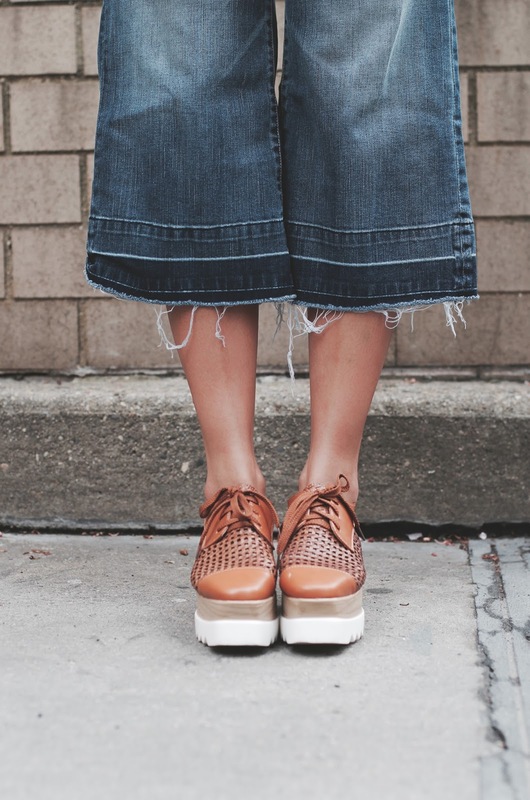 I'm also swooning over those platform sneakers, they're so cute, I want a pair myself! Thanks for sharing, beautiful, and I hope you have an amazing day! This bomber jacket is so cool! I love the look! Thanks to the floral patterns, this brutal jacket looks very nice and not at all rude. Obsessed with your shoes, they're so stylish! 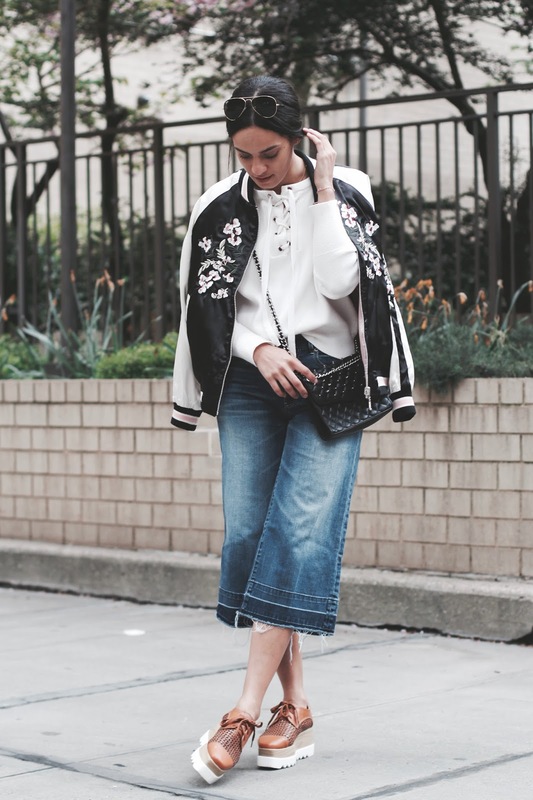 I love floral all year round but they're definitely more fun to wear for spring/summer! You are looking beautiful in the outfit. Your shoes, and jacket are very trendy. This style is so cute, and your blog is amazing! I really love these shoes! 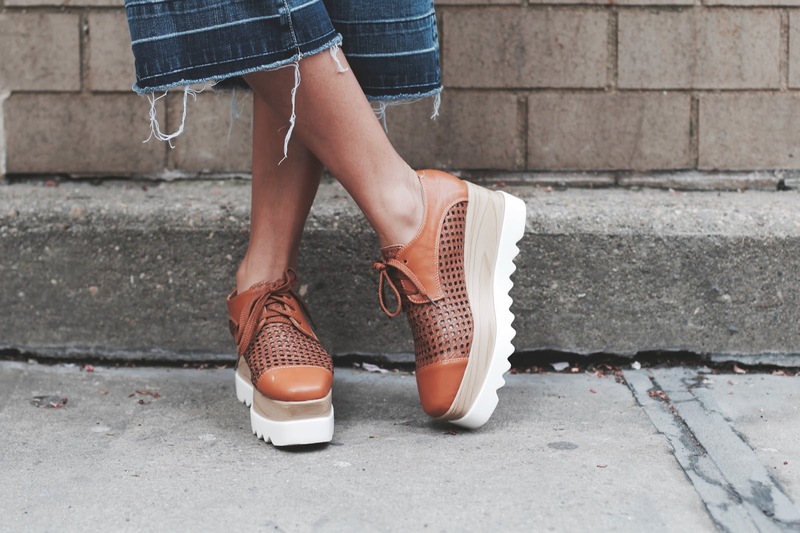 At 5ft, I'm always on the lookout for ones with a bit of a flatform and these seem absolutely perfect!